Turning the tables was the main theme in game 2 of the series between the St. Louis Cardinals and the Pittsburgh Pirates, with Gerrit Cole having an absolutely dominant performance on the pitching mound while Pedro Alvarez hit a big 2-run homer in order to reverse the roles and give the Pirates a 7-1 win, tying up the series at 1-1. The Pirates got only 4 hits in the opening loss compared with the Cardinals’ 10. In game 2, it was all turned around, hitting the ball 10 times and allowing only 4 hits. Most of that was thanks to the differences between Cole, having a field day on his first playoff start, while Lance Lynn continues to prove he just isn’t cut out for this playoff stuff. 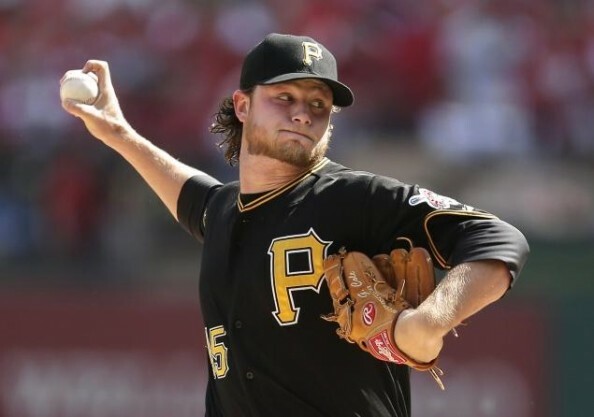 Gerrit Cole is the first Pirates pitcher to allow 2 hits or fewer in his first career postseason start. He also threw 4 pitches clocking at least 100 MPH, just the 4th starting pitcher in the past 5 postseasons to throw a pitch 100 MPH. He finished his rounds after six innings, allowing only two hits and one run during his commanding performance. I don’t know if he actually even grasped the significance of this game, not just for today but for this entire organization. He’s as big-game as we’ve seen. But seriously, I don’t think he’s grasped it. I’m not going to speak for him. But just watching him, I mean, enormous pitches, on the road, very big game , and I’m out there thinking, this is really impressive. So I’m hoping that naiveté, if that’s what you’d call it, continues. For the Cardinals, it was quite the opposite from Lynn. Lynn didn’t make it out of the fifth, allowing 7 hits and five runs during his disappointing tenure, making it yet another awful performance for him on the mound in a playoff game. He didn’t even make it out of the fourth last season on his two starts, and has always allowed at least four runs and two walks. Pedro Alvarez is the first Pirates player with 2 home runs in his first 3 career postseason games. He hit a two-run homer off of Lynn in the third inning, and finished the game with 2-of-4 and two RBIs, also getting a walk. His postseason slugging so far? An impressive 1.429. Justin Morneau also had a strong performance with 2-for-5, while Russell Martin brought home two runners on his single, finishing with 1-for-3 on the day. It was a bad game. I made four bad pitches for four extra-base hits. When I made a mistake with the fastball, they were ready for it.